MEXICO CITY: Milton, Georgia based battery manufacturer, Exide Technologies is to idle its lead recycling operations at its Reading, Pennsylvania facility by March 2013. “This decision was based on several factors including the dramatic swings in the lead market and the high capital investment needed, due to regulatory requirements, to remain operational in Reading,” explained Paul Hirt, president, Exide Americas. The company said that it will continue to operate its plastics recycling business at the Reading facility. Exide will maintain the Reading facilities and the permits and approvals necessary for all recycling activities. However, the move has been met with concern by the SLAB Watchdog – a non-governmental organisation dedicated to eliminating the environmental danger and community health issues caused by the foreign recycling of Spent Lead Acid Batteries (SLABs). According to the group, the decision by Exide marks the second time this year the company has announced the closing of one of its highly regulated spent lead acid battery recycling facilities. “It is unfortunate workers at Exide’s facility have to bear the brunt of companies electing to send their used car batteries to poorly regulated Mexican recyclers,” commented SLAB Watchdog director, Diane L. Cullo. “In bypassing highly regulated American recyclers, exporters and the suppliers who turn a blind eye to the practice are showing their attitudes towards environmental, community, and worker protections. If these companies were truly committed to environmental stewardship, they would utilise highly regulated domestic recycling facilities employing American workers,” she added. 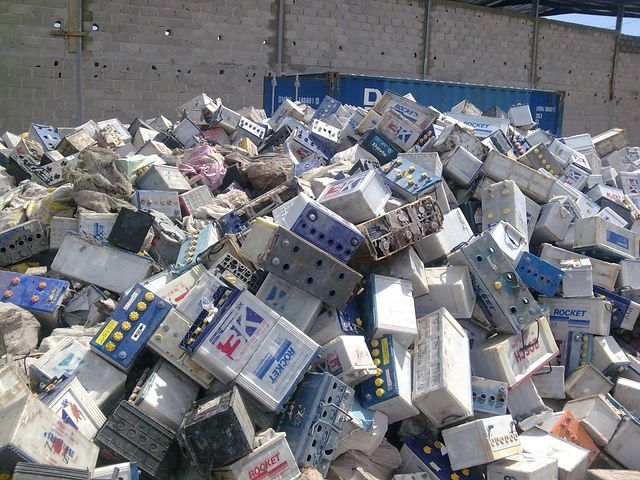 The SLAB Watchdog said that it feared further closures of U.S. battery recycling facilities, resulting in an explosion of exports to Mexico’s substandard recyclers.